Those of us lucky enough to live in Denver know that the Mile High City is rife with some truly amazing live shows and events, but it’s not always easy to find them. MileHI Music has dedicated itself to bringing you the latest and greatest in Denver’s budding music scene, but don’t you wish you had a way to find the hottest events right from your phone? If you answered yes, then you’re not alone. Recent studies have shown that many of us spend 23 days a year on our phones. A blog post on AlchemyBet, owners of Pocket Fruity, has also said that many of us have used our phones in church or in a place of worship, while driving or while waiting for the bus, and some have even missed classes or important meetings from spending too much time on their phones. Because of this, some people have created apps that help all aspects of people’s lives, and Denver Colorado Events is one such app. 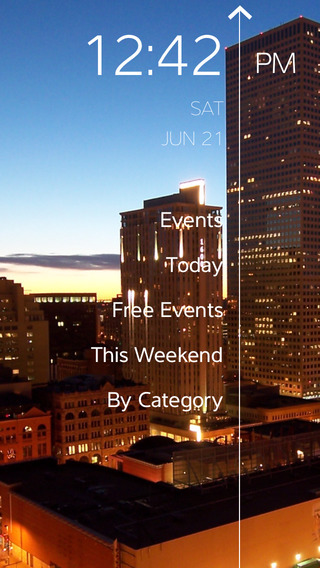 Created by Mark McKibben, the app seeks to make finding events in the Mile High City easier, segregating events so that users can find them based on day or week, as well as price. The only down side is that this app costs $1.29 to download, and this is a fairly steep price when you don’t know what you’re downloading or how accurate it really is. The app has, however, been updated to be compatible with iOS 8, and its creator is known for creating event guides for various cities across the US. With a little bit of work, it may be possible for the Denver Colorado Events app to not just be another tool, but a complete necessity to those who are looking to discover the entertainment scene of Denver. Not to worry, however, because until the app is further developed, you’ve got MileHI Music to help you find the most relevant music news across the state.